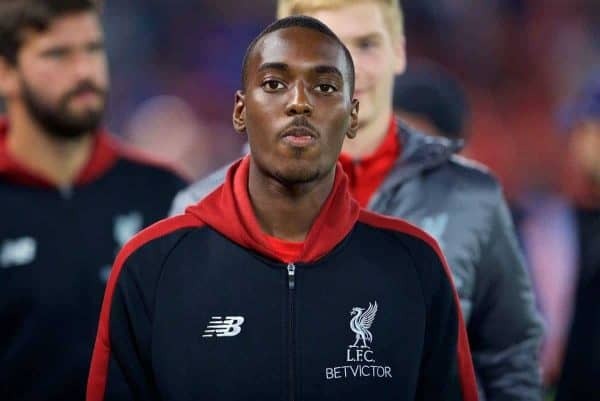 Camacho made his Premier League debut as a 94th-minute substitute in Saturday’s 4-3 victory over Crystal Palace, replacing Mohamed Salah with the score at 4-2. Max Meyer had reduced the deficit for the visitors soon after, forcing the Reds to hold on for the three points as their opponents pushed for an equaliser. Zaha was the key threat for Palace throughout, with his pace and skill on the left flank setting up Andros Townsend’s opener and forcing makeshift right-back James Milner into two yellow-card fouls. Milner’s exit ultimately prompted Camacho’s introduction, and in the dying seconds the 18-year-old made a vital tackle on Zaha in the penalty area that left the Ivorian clenching his fists and Klopp pumping his. “I told him immediately after the game that he’d already made the most important challenge of his life,” Klopp told the Liverpool Echo. 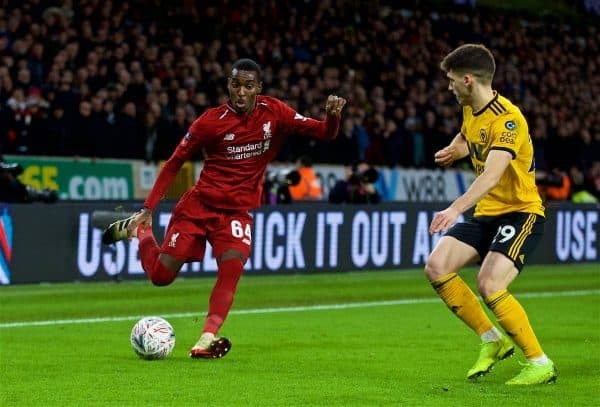 The manager went on to explain how, while Camacho had produced “similar situations” in this new role as a right-back before, he still needed to adapt his “offensive mindset,” using Andy Robertson as an example. “He’s good in defensive challenges. He’s an offensive player in his mindset and everything but look at our full-backs and where are they most of the time? You need these offensive skills,” he added. “On the other side there will be moments when you are alone on the pitch against a world-class player and they are looking to nutmeg you or whatever. “It is the learning process Robbo went through. He was a fantastic left-winger but played full-back and now he is a full-back. That’s really cool. After Saturday’s win, Liverpool are heading to Dubai for a warm-weather training camp, but plagued with injuries and now Milner’s suspension, there are few options at right-back. 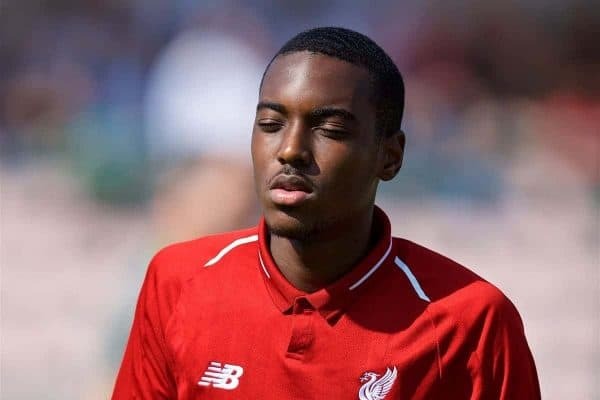 Fortunately, the Reds are not in action again until January 30, when Leicester travel to Anfield, and the hope will be that at least Fabinho is back to fitness. “Tell me a player who can play right-back and other positions as well better than our boys like Rafa can do?” he challenged. Klopp revealed that Alexander-Arnold “will be back early,” but the trip to West Ham on February 4 is more likely, meaning Camacho could well start against the Foxes.